Google has split up its Hangouts messaging platform into two services, targeted primarily at business users. 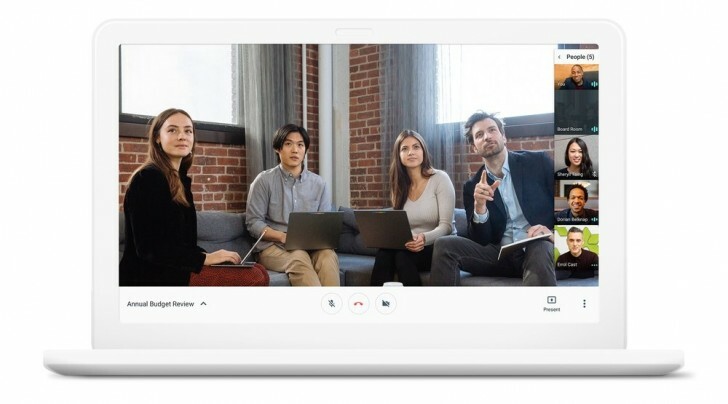 Called Meet and Chat, the two services will aim to offer video conferencing and group messaging for businesses and take on rival services from Slack and Microsoft. Both apps have the advantage of plugging into Google's G Suite of services or businesses. Hangouts Meet is a video conferencing service that would let businesses have full screen video calls between employees around the world. You can have as many as 30 people in a single video call called Meetings and you can start a meeting with a shared link that requires no account or downloads from the users and could be accessed from the dedicated iOS and Android app or simply from the website. Hangouts Chat is a messaging app along the lines of Slack. You can have different teams working in dedicated virtual rooms where you can send messages and share documents with others. The G Suite integration allows easy attachment of documents from Google's other services. Chat also has support for bots and users can write their own scripts and other companies will be adding their own bots to Chat soon. Hangouts Meet will start rolling out to G Suite users starting today. Those wanting to try out Hangouts Chat will have to sign up through the Early Adopter Program.